An all-new series from the masterful, #1 New York Times bestselling author Maggie Stiefvater! This is one of those YA novels that grabbed me right from the first paragraphs. 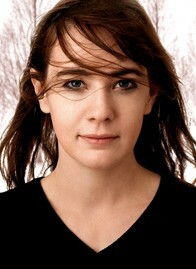 Maggie Stiefvater is nothing if not a gifted writer who captures the imagination. I could read everything she writes all day long. 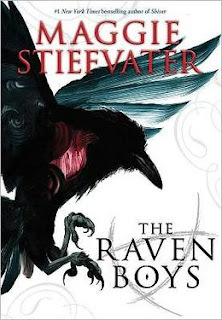 There is a lot to recommend this book, but to me the best of the best is the characters that inhabit "The Raven Boys." Blue, of course, the non-psychic/psychic of a clan of "witches," clairvoyants and paranormals is a character not to be forgotten. She's beautiful in all aspects, and so engaging. I nearly felt her sitting with me in the same room. Such angst and depth. I would give anything to have been in the household of this family!! Maggie Stiefvater has created a novel that is clever and captivating, one that is both a great YA novel and a crossover for adults. It's reminiscent of J.K.Rowlings in characterization of the light paranormal and in the group of private school "Raven Boys." It's a joy to read...I was sad to see it end. You'll really love this book.